A co-production with the Lithuanian Music Information and Publishing Centre. Recording financially supported by the Ministry of Culture of the Republic of Lithuania. ℗ & © 2011 Naxos Rights International Ltd. The eloquent, expressive music of Lithuanian neo-romantic composer Onutė Narbutaitė is noted for its sense of aristocratic poise and strong compositional discipline. 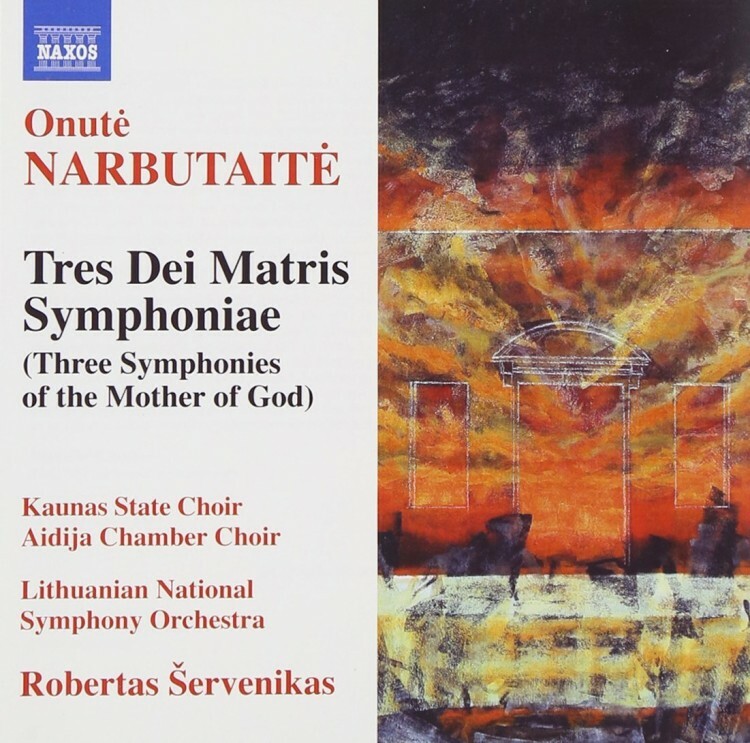 Her Tres Dei Matris Symphoniae (Three Symphonies of the Mother of God) is not a conventional oratorio but a symphony, or three symphonies with choir which embrace the Revelation, the Birth of Jesus and the Crucifixion in settings of the Ave Maria, Gloria, Stabat Mater and Hildegard von Bingen’s O clarissima Mater. The effect is of hearing something both deeply familiar and eternally new, rich material for personal contemplation.